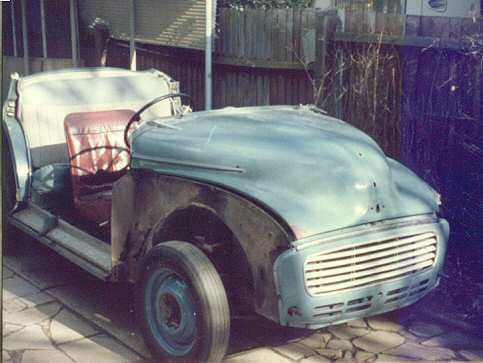 In 1977, my father purchased this 4 door Minor (THX 221F) for his own use. 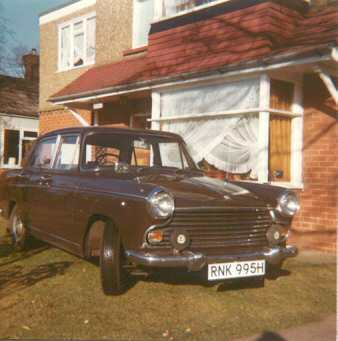 The next year I sold Daffodil and bought a brown 1970 Morris Oxford (RNK 995H) from a friend of my father's. 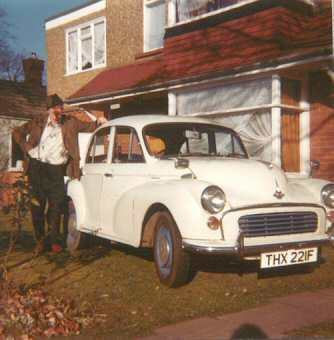 In 1979, brother Andy bought a 1968 Dark Blue Morris Minor (PMU 382F) to restore for himself. 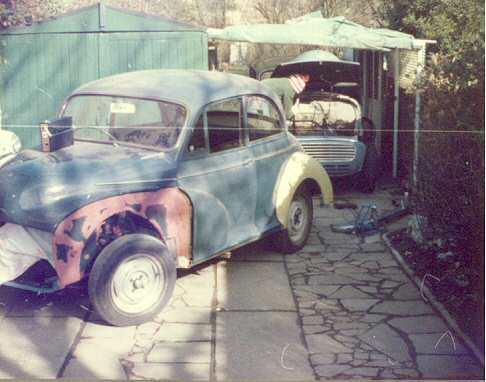 Here it is in process of restoration at 56 Grove Road. 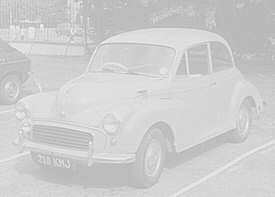 Along the way we purchased a number of Minors for £5 or £10 and parted them out. 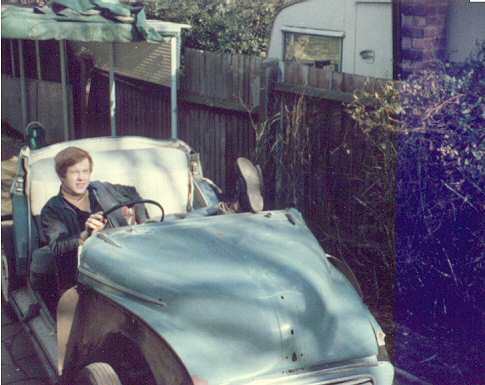 Here is one unlucky car that was sacrificed to keep other Minors running.